All Natural. Made from the bark of fir trees. Hygroscopic. This means it absorbs moisture and then releases it, creating humidity. 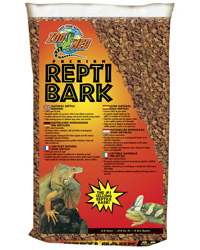 The perfect substrate for humidity loving reptiles. Conducts and evenly distributes heat. Absorbent. Pulls waste away from your animal.